It’ll be some time before the lauded Crown Building on the corner of Fifth Avenue and 57th Street realizes its future as a swanky hotel and ultra-luxury condos, but that hasn’t stopped one person from allegedly snapping up the development’s proposed five-story penthouse—and according to the Real Deal (who cited “a source familiar with the project”), they may have paid a heart-stopped $180 million for the pleasure. Per an amended offering plan for the building, TRD says that the more than 14,000-square-foot apartment entered contract at that exorbitant number, which works out to more than $14,000 per square foot. That’s leaps and bounds above the highest price ever paid for an apartment in NYC; that record is still held by a One57 penthouse that traded hands in 2014 for $100.5 million. Earlier this year, tech billionaire Michael Dell was outed as the buyer of that unit. Floorplans for the penthouse, which were obtained by TRD earlier this year, show a boatload of ridiculous amenities spread out over its five stories, including a show kitchen and a working kitchen, a piano lounge, two swimming pools, a full-floor master suite, and a game room. Of course, this is all conjecture at this point—it remains to be seen if the penthouse will, in fact, close for such a high price. 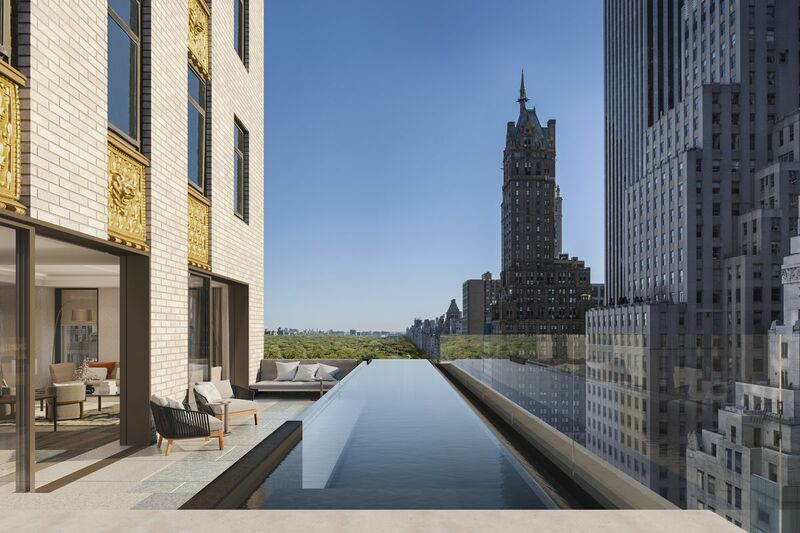 But it may have some competition in other buildings along Billionaires’ Row, including Central Park Tower—where more than 20 apartments are allegedly priced north of $60 million—and 220 Central Park South, which reportedly has its own bonkers $250 million penthouse.